Q: How much riding experience should one have before trying mounted archery? Should I be skilled in both disciplines before putting them together? 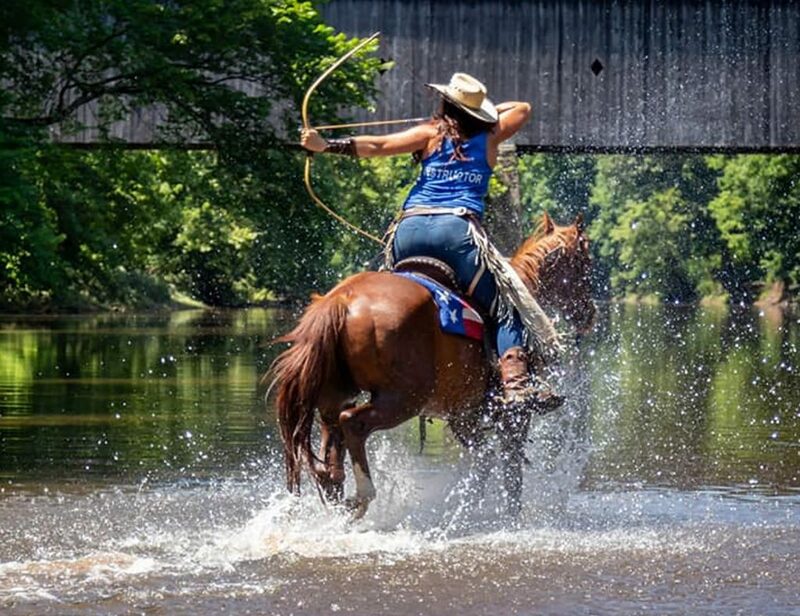 A: You do not have to be an experienced horse person or archer to begin learning horseback archery, however, it is imperative that you learn how to ride and how to shoot safely and correctly. Most horse archers are horse people first and learn to shoot later. There are many accomplished horse archers that began as archers, but had to learn to ride. HAUSA has the common mindset that our horses are our partners, so we encourage beginner horse archers to take lessons to improve their horsemanship skills or to learn how to ride safely and effectively. We recommend you find a local, reputable lesson program to gain the horsemanship skills you need to be the best horseback archer you can, not only for the safety of the rider, but the horse as well. Q: What equipment do I need to get started in horseback archery? A: You need a bow, some traditional feather-fletched arrows and a target! While it is recommended to use a true horse bow, even if made of modern materials, HAUSA accepts the use of a bow with shelf for practice and competition. We know that there are many hunters and targets archers out there who already have and use a traditional recurve bow, so, get out that old Bear and get to practicing. As long as there are no pulleys, wheels, stabilizers, sights or peeps, you are good to go. You will want to eventually graduate to a horse bow for efficiency and speed. Q: Where can I purchase horse-archery specific equipment? Lancaster Archery Supply – HAUSA members receive 10% off at this online archery supply retailer. Hips Archery Targets – HAUSA members can receive up to 30% off, American-made archery target supplier. Cabela’s Outdoor – HAUSA members receive up to 35% off, they carry everything for the outdoors. 3 Rivers Archery – Longbow & recurve experts, they carry everything for traditional archery. Chain Reactions Archery, based in Georgia. They carry a wide variety of horse bows and horse archery related equipment. Steve’s Archery Leathercraft, based in North Carolina and has a very popular, handmade thigh quiver. Q: Are there skills specific to mounted archery that I could practice without a horse? A: Absolutely! The best time to practice speed loading and blind nocking is on the ground. All shooting skills can be refined before ever stepping foot in the saddle. You can practice shooting the front, back and side shots, both standing still and while walking or jogging. We’ve seen many people practice while sitting on a barrel, to simulate a horse! 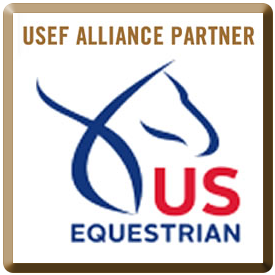 Q: Is there an internationally recognized certification for mounted instructors? A: There are various certification programs, but none are recognized by an international governing body. It is highly recommended to select an avenue for certification that best suits you. Keep in mind that teaching horseback archery is much more than teaching riders to shoot. There are aspects requiring an instructor to have a foundation in horsemanship as well as archery instruction. 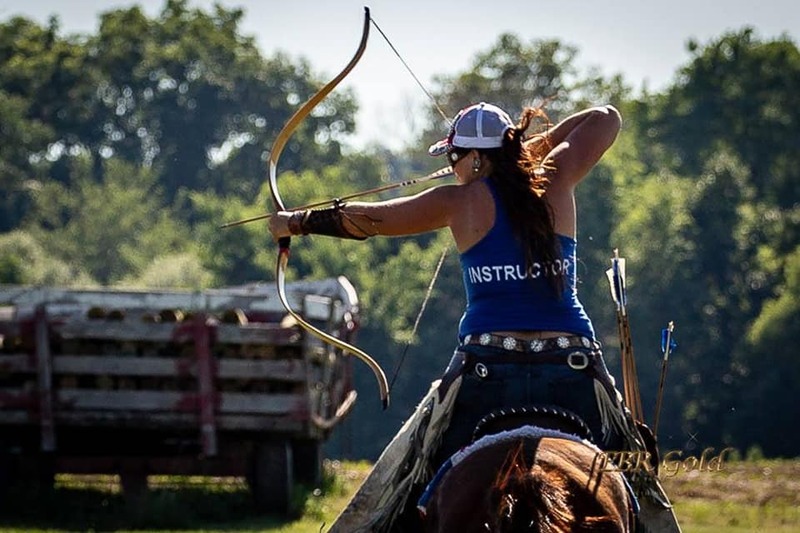 Unless you are only teaching on safe mounted archery schooling horses, you will need to have the ability to help your student train their horses. Q: Can people get into the sport if there’s not a club near them? A: Anyone can become involved! Try to find an instructor or clinic near you to ensure you get a proper start. If that is not accessible for you, do some research. The are endless online resources and instruction videos available. Just remember, watching a video online can not tell you all you need to know, but it is a start. Always keep safety as a number one priority for yourself, your horse and the things or people around you. Q: How can I find clubs/instructors near me? Q: How do I sign up for specific events? A: Each HAUSA-recognized event is hosted by either an affiliated club or individual. Check the UPCOMING EVENTS calendar on the website, and the event host will be listed. Contact them and find out if they are using online registration, or if there is a registration form you that can be printed and mailed it to ensure your participation!